EyeT+Pick is the outstanding 3D vision system for random bin picking and is plugged to any robot arm to collect randomly arranged objects. 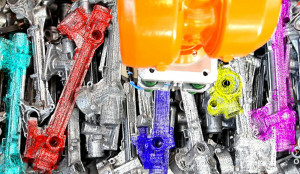 The use of vision systems brings many benefits to conventional automation systems. One of the most important factors is the extreme flexibility with which various types of products can be handled using the same automation. Since the system collects the products directly from the containers in which they are placed, there is no need for mechanical systems dedicated to each single type of product. New product models can be defined directly by the operator using Smart Pick 3D Solid, the programming software supplied along with the system itself. The system design strongly focuses to the aspects of robustness and functional continuity, with no need for operator. To this end, innovative proprietary algorithms have been developed in order to ensure the absence of collisions during the gripping and extraction of each object. The Motor Pack allows to integrate EyeT+ Pick directly in the pick area using the provided flange. 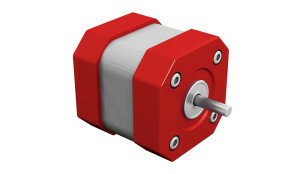 The Motor Pack contains a rotary actuator specifically designed to be integrated with EyeT+ Pick. The Motor Pack includes a soft-PLC software to control EyeT+ Pick device without any additional PLC programming. EyeT+Pick can be perfectly integrated with the well-established software solution Smart Pick 3D Solid, which allows for the configuration and the monitoring of the system in a 3D programming environment. Smart Pick 3D Solid is designed for the collection of complex geometric objects randomly placed on a bin. The optimization of the system’s performance can provide reduced cycle times, thus even allowing it to be used by companies with extremely high production capacities. Visual Align is based on an additional 2D vision device to improve accuracy for precise product positioning, allowing efficient direct machine loading avoiding additional custom fixtures for each product. Visual Align is designed to be integrated with EyeT+Pick and it is managed with a software module integrated with-in the Smart Pick 3D Solid environment. 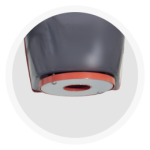 Visual Align supports different scanning areas and illumination methods to fit application requirements.